First off, make sure you have a new entity defined. 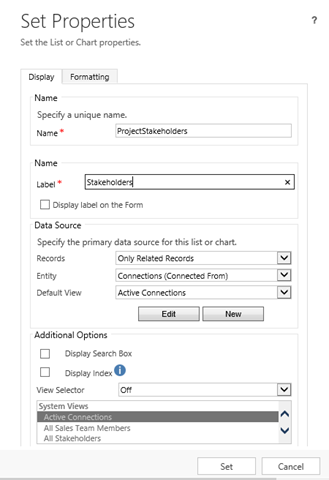 Call it Project, and make sure Connections is checked on the entity definition. Also check the Project entity along with the Contact. Save and Publish your solution. Observe that the new Connection Roles we have created are now available to be selected. Now, when you go back to your project, in the newly added grid you can see the Contacts we have associated to the Project, along with the defined Roles. Simple to customize, no-code solution. 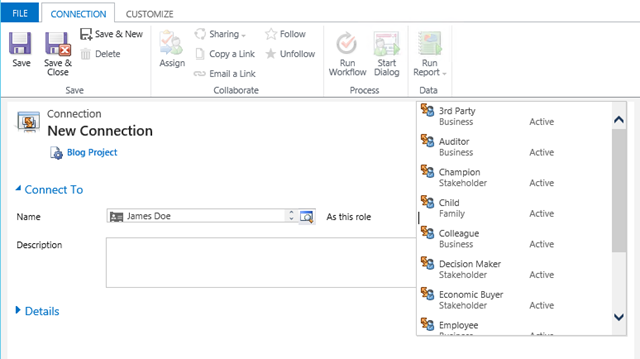 Visual impact to users who now can quickly see all stakeholders related to a particular Project.